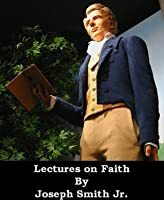 LDS - Lectures on Faith by Joseph Smith Jr.
We’d love your help. Let us know what’s wrong with this preview of LDS - Lectures on Faith by Joseph Smith Jr.. Preview — LDS - Lectures on Faith by Joseph Smith Jr.
Lectures on Faith is a set of seven lectures on the doctrine and theology of The Church of Jesus Christ of Latter-day Saints, first published as the "doctrine" portion of the 1835 edition of the canonical Doctrine and Covenants, but later removed. It was presented by Joseph Smith, Jr. to a group of elders in a course known as the "School of the Prophets" in the early winte Lectures on Faith is a set of seven lectures on the doctrine and theology of The Church of Jesus Christ of Latter-day Saints, first published as the "doctrine" portion of the 1835 edition of the canonical Doctrine and Covenants, but later removed. It was presented by Joseph Smith, Jr. to a group of elders in a course known as the "School of the Prophets" in the early winter of 1834-35 in Kirtland, Ohio. All content has been professionally formatted for the portable devices to enhance readability and provide you with the best experience possible. To ask other readers questions about LDS - Lectures on Faith, please sign up. Eli Do not look to J. Smith for the answer. I strongly recommend Martin Luther's Commentary on Galatians. As I write this, the LDS church is closing its 191st year as an "organized" religion, established on April 6, 1830. What many modern members of the church do not know is that between years 5 and 91, "Lectures on Faith" was included with the Doctrine and Covenants... and was actually the Doctrine part, with our existing version containing the Covenants portion. In 1921, they were removed from canonical volume of scriptures because the Lectures "were never presented to nor accepted by the Church as As I write this, the LDS church is closing its 191st year as an "organized" religion, established on April 6, 1830. What many modern members of the church do not know is that between years 5 and 91, "Lectures on Faith" was included with the Doctrine and Covenants... and was actually the Doctrine part, with our existing version containing the Covenants portion. In 1921, they were removed from canonical volume of scriptures because the Lectures "were never presented to nor accepted by the Church as being otherwise than theological lectures or lessons". However, the volume name remained the same. Forty-nine years later, in 1970, then-President Joseph Fielding Smith wrote "I suppose that the rising generation knows little about the Lectures on Faith... In my own judgment, these Lectures are of great value and should be studied... I consider them to be of extreme value in the study of the gospel of Jesus Christ." This is my imperfect attempt to rectify my LDS generation's ignorance of these lectures. In 83 pages, Joseph Smith and Sidney Rigdon prepared this introduction to what "faith" is. Any sincere theologian can appreciate this. So often, Christians discuss faith in an overly-diluted manner: a mere belief that we can move a mountain by negligible effort. This reads like a classroom text, going step-by-step through what faith is, how faith in God originated in the beginning, what is necessary for us as a participant in our relationship with God to practice faith, and what the ultimate purpose of faith is. I read this because of it's title...and I was curious about the topic of 'faith'. Never have I heard this subject explained so openly, honestly and in a clear, concise manner so I could better understand what faith was, how it worked in my life (or could work) and how to build it. I don't think it matters what religion you are when it comes to reading this book. If you love God, and you seek truth because you love truth for its own sake, you should read this book. It's brilliance and immediate app I read this because of it's title...and I was curious about the topic of 'faith'. I don't think it matters what religion you are when it comes to reading this book. If you love God, and you seek truth because you love truth for its own sake, you should read this book. It's brilliance and immediate application will astound anyone who may be like me...just someone who was simply looking to find more in their lives and was searching for a 'higher help'. This is the clearest and most acurately detailed discussion on faith that has ever been assembled on the subject. It lays forth in clarity what faith is, how to get it and hold onto it, and how to reorient your own compass to discern between good and evil. Better this books tells you the only way in which you can be saved. But it discusses being saved in a literal sense vs. from mystery and the superficial and usual connotations of that word- the emotions of being 'worked up' and false notions a This is the clearest and most acurately detailed discussion on faith that has ever been assembled on the subject. It lays forth in clarity what faith is, how to get it and hold onto it, and how to reorient your own compass to discern between good and evil. Better this books tells you the only way in which you can be saved. But it discusses being saved in a literal sense vs. from mystery and the superficial and usual connotations of that word- the emotions of being 'worked up' and false notions and beliefs. Most religions or people will not understand the correct nature of God and thus will not understand themselves or the relation of true faith to Deity. This book settles the score, letting the true scientist in you attach good sense and reason and most importantly, evidence, back into the equation as it relates to faith. If I could make an analogy- where as most religions will profess a conceptualization of a property or force, say like as in the force of "gravity", this book explains "gravity" in relation to the actual bodies which generate the force, so that the "mystery" of gravity is dispelled. It is short but heavy and somehow also extremely clear. I’ve never understood the subject of faith this well before. I totally recommend it. 5 stars for doctrine. 3 stars for readability. Solid work of theology and a good read for members of The Church of Jesus Christ of Latter-day Saints or anyone else interested in what faith is. "If thou canst believe, all things are possible to him that believeth." (Mark 9:23). The above quote summarizes my thoughts on this book. I've always heard of this book, and I was very intrigued when I saw it was free on the Desert Bookshelf app so I started to read it every night. It highlights and discusses faith and what it means to have faith. I've realized that I have a long way to go in order to get where I need to get. But that is the purpose of life, do the little things each day that bui "If thou canst believe, all things are possible to him that believeth." (Mark 9:23). The above quote summarizes my thoughts on this book. I've always heard of this book, and I was very intrigued when I saw it was free on the Desert Bookshelf app so I started to read it every night. It highlights and discusses faith and what it means to have faith. I've realized that I have a long way to go in order to get where I need to get. But that is the purpose of life, do the little things each day that build faith. Faith in God but also faith in others and especially faith in oneself. Below are a few of the quotes and commentary from this book. "I suppose that the rising generation knows little about the Lectures on Faith... In my own judgement, these Lectures are of great value and should be studied... I consider them to be of extreme value in the study of the gospel of Jesus Christ." - I had no idea the Lectures on Faith used to be in D&C. "If men were duly to consider themselves, and turn their thoughts and reflections to the operations of their own minds, they would readily discover that it is faith, and faith only, which is the moving cause of all action in them." "Was it not the hope which you had, in consequence of your belief in the existence of unseen things, which stimulated you to action and exertion in order to obtain them?" "Would you have have ever planted, if you had not believed that you would receive? Would you ever have asked, unless you had believed that you would receive?... In a word, is there anything that you would have done, either physical or mental, if you had not previously believed?" - Faith is the foundation and the basis for everything we do. If we do things, we clearly have belief that we will see an end result of something, whether it is good or bad. "Faith is the first great governing principle which has power, dominion, and authority over al things; by it they exist, by it they are upheld, by it they are changed, or by it they remain, agreeable to the will of God." Three things are necessary in order that any rational and intelligent being may exercise faith in God unto life and salvation: First, the idea that he actually exists. Secondly, a correct idea of his character, perfections, and attributes. Thirdly, an actual knowledge that the course of life which he is pursuing is according to his will. For without an acquaintance with these three important facts, the faith of every rational being must be imperfect and unproductive but with this understanding it can become perfect and fruitful, abounding in righteousness, unto the praise and glory of God the Father, and the Lord Jesus Christ." "God never changes, therefore his attributes and character remain forever the same"
"Where doubt and uncertainty are there faith is not, nor can it be"
"Let us here observe, that a religion does not require the sacrifice of all things never has power sufficient to produce the faith necessary unto life and salvation." "And through the whole history of the scheme of life and salvation, it is a matter of faith: every man received according to his faith -- according as his faith was, so were his blessings and privileges; and nothing was withheld from him when his faith was sufficient to receive... in a word, there was nothing impossible with them who had faith." 2. Faith is in God, and we received knowledge of Him via human testimony passed down from those who saw and heard Him (Adam, before and after the fall). "How do men obtain a knowledge of the glory of God, his perfections and attributes? By devoting themselves to his service, through prayer and supplication incessantly strengthening their faith in him, until, like Enoch, the brother of Jared, and Moses, they obtain a manifestation of God to themselves." "Let us here observe, that three things are necessary in order that any rational and intelligent being may exercise faith in God unti life and salvation. First, the idea that he actually exists. Second, a correct idea of his character, perfections, and attributes. Third, an actual knowledge that the course of life which he is pursuing is according to his will." "An actual knowledge to any person, that the course of life which he pursues is according to the will of God, is essentially necessary to enable him to have that confidence in God without which no person can obtain eternal life." As originally prepared and delivered, the lessons were for a class of elders only. However, the lectures were introduced to the membership of the Church in the preface to the 1835 edition of the Doctrine and Covenants. They would be included in the D&C up to 1921, at which time they were removed because "they are not specific revelations to the Church and were never sustained as such". Pres. Joseph Fielding Smith said: "I suppose that the rising generation knows little about the Lectures on F As originally prepared and delivered, the lessons were for a class of elders only. However, the lectures were introduced to the membership of the Church in the preface to the 1835 edition of the Doctrine and Covenants. Pres. Joseph Fielding Smith said: "I suppose that the rising generation knows little about the Lectures on Faith...In my own judgment, these Lectures are of great value and should be studied....I consider them to be of extreme value in the study of the gospel of Jesus Christ." There's something striking here. I ignore why this work is not better known in the church, studied at sunday school or at least by missionaries in the field (I myself being a returned missionary). It's so simple and clear and definitely worth studying and pondering to grasp the deep meaning of those teachings. I just finished this again. I was assigned to speak on faith in church last weekend. I forgot how many wonderful ideas are in this book. So many of things that are often quoted about faith are in this book. 3: An actual knowledge that th I just finished this again. I was assigned to speak on faith in church last weekend. I forgot how many wonderful ideas are in this book. So many of things that are often quoted about faith are in this book. 3: An actual knowledge that the course of his life he is pursuing is according to his will. This was a difficult read in parts. I enjoyed the book, but the format was not an easy one to follow. The lectures had lots of good, inspiring doctrine in it, but then the questions were just repeating what was already there. The edition that I read including a message by Orson Pratt called, "True Faith," and excerpts from the King Follett address. Those excerpts were the best part, in my opinion. The message by Brother Pratt had some great stuff in there too. This is a very useful publication in understanding Joseph Smith's development as a self-taught theologian. As it reveals, the popular notion of a hapless illiterate will not do. Also unlikely is that Joseph Smith came away from his first vision with a keen and unbending notion of what the Godhead was. I appreciate this volume for its showcasing of Joseph Smith's evolving knowledge and understanding. Compare this 1830s publication with his King Follett sermon in 1844. This took me maybe two hours to read and it blew my mind. Lecture 3 had the most profound influence on me. 1. He is the highest being in the universe. There is no one higher. 5. He is no respecter of persons, but his most profound blessings are upon those who follow him. There's a lot here about the nature of God that is good to learn and is not to be found in most other sources. This book made me feel better about myself than any Sunday School lesson I've ever heard. A very thought-provoking read as an in-depth discussion of faith. Short enough to be read in one sitting, but with enough depth to require that the reader spend considerable time pondering what's been read. It certainly would have been awesome to be present at the actual lectures! I never knew that Lectures on Faith were part of the canonized scriptures and then were removed in 1921. These lectures are beautiful! I believe they should be read and studied just as much as any of the other scriptures, there is so much to learn there. I read this book a long time ago (back in '97), but I remember being deeply touched by the King Follett sermon. Joseph Smith was a fascinating man as they come, and his writings and teachings have influenced my life probably more than most any other man. Great read, learned a lot and found some of it redundant. however it was originally meant as a textbook of sorts so hard to criticize the format too much. Parts of this book were really quite good (Lectures First, Sixth and Seventh), and warrant consistent review and study. The other sections were a bit hard to follow. There is SO much info here. One read thru is nit going to be enough. Contained are some GREAT principles on faith that I have never understood until I read this book. Own the audios on cassette too. The nuts and bolts of the mormon faith. And Joseph's approach to faith in general. It's a short read. Don't call yourself a mormon if you haven't read this book! Way cool, I never realized how much there was to faith before I read this book. It gives you some insight into how intelligent Joseph Smith was. He really understood and explained things so well. This was deep and interesting, except for the odd obsession with people's age. I'll start with what I learned and liked then move into the problems. The need for faith makes a lot of sense here, but in a different way than I've been taking it. I've talked about faith as subjectivity, a willful belief in something not yet proven because you want to. Joseph Smith explains it more as a fundamental way of the universe. I exercise faith when I turn on my car, drink water, flip on a light switch, and This was deep and interesting, except for the odd obsession with people's age. I'll start with what I learned and liked then move into the problems. The need for faith makes a lot of sense here, but in a different way than I've been taking it. I've talked about faith as subjectivity, a willful belief in something not yet proven because you want to. Joseph Smith explains it more as a fundamental way of the universe. I exercise faith when I turn on my car, drink water, flip on a light switch, and so forth. You're exercising faith that a desired result will come. It's often coupled with the idea that sometimes you have to step into the darkness before the light will come on (motion sensor lights, I guess). This does a lot to explain the requirement of faith for salvation. The scriptures teach faith more often than any other commandment and I've often wondered why. It's always seemed like God was saying: More than anything else you need to learn to trust and obey me, because when you get into the next life you're going to have to do some weird things. But what's really the reason is that this is a fundamental principle just to function in the universe, let alone grow into exaltation. If you need a measure of faith when you move your foot, you'll need it even more when you command planets to move. There were some things that are confusing. When Smith says God is omnipresent, God is in eternal now, and faith is based on evidence. All of these don't really jive with what is understood from the doctrine today. Which means one of us, whether it's me, him, or everyone else, is misunderstanding the concept or Smith hadn't yet learned to current understanding of those when he wrote this. Take omnipresence, for example. Smith uses this with omnipotent and omniscient and the two have a certain meaning in the wider world of Christianity but we talk about them differently. Omnipresence in particular is glaringly different. Christians say God is omnipresent in the sense that He is physically, mentally, spiritually everywhere. We can't say our God is physically everywhere. I suppose He could be mentally. Spiritually we say the Father can't be everywhere which is why He/She has the Holy Ghost do that. So if Smith meant that God includes the Holy Ghost, an understanding I usually carry, then it works. But if he meant that the Father is physically omnipresent it doesn't work. The result of different meanings is that you get into arguments with more traditional Christians who understand the words differently and you talk over each other because you think you're talking about the same thing when you're not. I did have some problems with this book. Foremost being his harsh condemnation of other religions and mischaracterization of Christianity. Calling Christianity atheism is akin to a strawman fallacy but perhaps worse. The difference between the two is as great as the reason they don't get along. In line with what I said above, God is an omnipresent consciousness, the very embodiment and origin of morality, in Christianity. For atheists, there is nothing or it's the universe itself. Big difference there. I get the feeling that the strong condemnation and persecution from the Protestants fomented this strong, oppositional language in Smith. This is why we see him spend so much time rebuking and refuting other religions. He did it as a reaction to them. He made some strong arguments against salvation in other beliefs, arguing for salvation in Mormonism only. Peculiar, since he experienced frustration when a minister condemned his brother Alvin to hell. You'd think he'd be more circumspect and sensitive to others. It's also interesting because the church today doesn't do this nearly as much. They're much softer and positive towards other religions. Again, that could be change in climate or a method for better publicity and relations today. It also seems to contrast with his more well known statement: Gather truth where ever it can be found. I suppose he was a complicated man in this regard. It's certainly courageous in a sense of arguing for a strong god. An Overman, as Nietzsche would say. But a little ignorant and insensitive. Either way, I've always said that if what you have is the truth, you won't need to criticize or attack other's beliefs. You wouldn't even want to. You would instead just promote your own and it would sell itself. As for this being the one and only true church, the only path of salvation and all others faulty or insufficient, this might work if you argue about truth. The truth, whatever it is, is dogmatic. It doesn't change (or can it?) but rather stays the same regardless of whether one person has it or everyone has it. If we accept that one church is more true or has more truth than another, it follows that there would be one that has more truth or is closer to the truth than they all. Smith is right if this is the truth, that there is a God and He really does have only one way to be saved. It doesn't have to demean other religions, it only means that as great as they are, they're insufficient for the end goal. I've compared it to an application with checking a box. You could have a great application designed by your church, better even than the one made by the 'true' church, but without that last box checked and signed by correct priestly authority, the application is insufficient. This has a further problem, however. Why do beliefs matter so much? This is my main problems with the other theistic religions where salvation is based almost completely on faith and correct belief. But if salvation is based on having the right beliefs, then eternity and spiritual life is really about who's right and who's wrong rather than something better like who makes good choices or who has love in their hearts. Christians accuse us of salvation by works rather than by grace through faith. Mormonism actually has a combination of both, though I actually wish it was more about works because I feel that is a more ethical road to eternity. That's more about character than making the correct guess. And it is a guess. Finding the correct religion is a shot in the dark. Anyone who thinks their religion is objectively true beyond anyone else's beliefs is fooling themselves. Every religion has had miracles, tragedies, evidence supporting it, and evidence undermining it. Believing that people only need to give yours a chance and they'll see the light only shows your blind ignorance of the problems in you're own religion and the beauties of others. Because it's a shot in the dark and because quality of person is better than doctrine, faith identity cannot be a good criteria for eternity. Fortunately Mormonism has something of an out with this in temple work which allows us to maintain our truth position without denying others on faulty grounds. My last problem with faith is what does that say for the times it doesn't work? Trust and confidence in the thing or action in which your faith is placed only works as long as the trust is never broken. If your let down or stood up, this could in large measure fail because the truth is sometimes people don't keep their promises, sometimes the car won't start, and sometimes the lights don't come on. People pray and get answers and witness miracles but there are also people who meet the same criteria of sincere faith and don't get the promised results. They might receive silence, no answer, or rejection, the opposite of what was promised. What do you do then? Generally you look and see what's wrong with the subject. You don't generally wonder what you were doing wrong. You flipped the switch the right way. I suppose with religious faith you might wonder if you really were sincere or if you misunderstood the response. But the problem remains, you can't rely on something to guide your life when you don't understand the result or when it fails you. I suppose with light switches, we do them because most of the time they come on and when they don't we can easily identify the problem and fix it ourselves. But many aren't able to do that with God and so stop relying on Him/Her. It then creates resentment or a desire to be independent and self-sufficient anyways. When God stops speaking, you learn to stop asking. It kind of works against God in this way. So that's my question for Smith and principles of faith, what do you do when the lights don't come on? It is contradictory. These lectures teach that God has faith, which is absurd, since faith is being convinced of what one does not see, and God sees everything. God is omniscient, as even these lectures affirm! It describes faith like a magic power. Just have faith and you can do anything. Very wrong. It quotes a false translation of the Bible. In discussing salvation it places almost zero emphasis upon Jesus Christ and His saving work, but says that salvation is about the sacrifice WE So much bad. In discussing salvation it places almost zero emphasis upon Jesus Christ and His saving work, but says that salvation is about the sacrifice WE make. The entire lecture on "The Law of Sacrifice" is about the sacrifice we must make, not the sacrifice of Christ. Hideous. The tone of the lectures is sophomoric, as if the lecturer thought he was coming up with things new and profound, when neither is the case. The lecturer makes many overstated and exaggerated claims, like "no one can possibly disagree with this," and yet many do. These lecture fail to mention or show any understanding of the holiness of God, which is not God's moral uprightness, but His total uniqueness and ineffable otherness. We do not find the God of the Bible here. It seeks for the prototype of the saved man and finds it in Jesus, which is absurd. Why not the the thief on the cross? Why not Abraham, Isaac, and Jacob? Why not any number of the saved in Scripture, who were saved by grace through faith, not because they lived perfectly as Jesus did (which no one ever did)? These lectures interpret Scriptures out of context and without knowledge of the original languages. These lectures are ignorant of the fact that Satan counterfeits signs and wonders. These lectures, by their own admission, teach "a system of faith" (that is, a system that is all about faith; and by faith they mean something horribly unbiblical), rather than a system that is all about Christ... or rather the news or story of Christ, i.e., the gospel. Here is Mormonism's true colors: Mormonism not about the good news of Christ, but is about a system of esoteric principles by which you work yourself into heaven. Christianity is not a system of principles; it is the news of Jesus and what HE has done on our behalf to secure salvation for all who will simply believe. Joseph Smith, Jr. was the founder of the Latter Day Saint movement, also known as Mormonism, and an important religious and political figure during the 1830s and 1840s. In 1827, Smith began to gather a religious following after announcing that an angel had shown him a set of golden plates describing a visit of Jesus to the indigenous peoples of the Americas. In 1830, Smith published what he said w Joseph Smith, Jr. was the founder of the Latter Day Saint movement, also known as Mormonism, and an important religious and political figure during the 1830s and 1840s. In 1827, Smith began to gather a religious following after announcing that an angel had shown him a set of golden plates describing a visit of Jesus to the indigenous peoples of the Americas. In 1830, Smith published what he said was a translation of these plates as the Book of Mormon, and the same year he organized the Church of Jesus Christ of Latter Day Saints. For most of the 1830s, Smith lived in Kirtland, Ohio, which remained the headquarters of the church until Smith began encouraging members to gather the church to a Latter Day Saint settlement in Missouri. There, tensions between Mormons and non-Mormons resulted in the expelling of the Mormons. Smith and his people then settled in Nauvoo, Illinois where they began building a new temple aided by new converts from Europe. He was assassinated by a mob of non-Mormons at the age of 38. Books by Joseph Smith Jr.